Updated: 1:32 p.m. | Posted: 5:49 a.m. 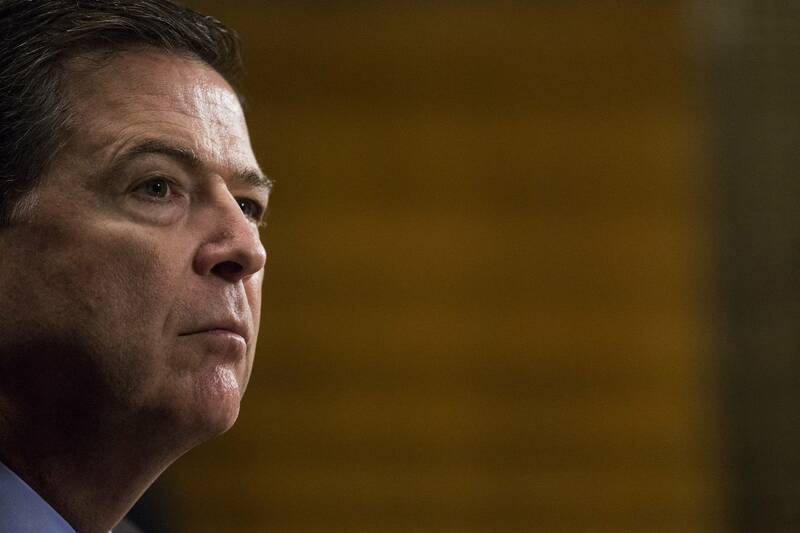 In the days before his firing by President Donald Trump, FBI Director James Comey told U.S. lawmakers he had asked the Justice Department for more resources to pursue the bureau's investigation into Russia's interference in last year's presidential election, three U.S. officials said Wednesday. Trump made a similar case on Twitter, saying Comey had "lost the confidence of almost everyone in Washington," adding: "When things calm down, they will be thanking me!" Vice President Mike Pence said at the Capitol that Trump had made "the right decision at the right time." Praised frequently by both parties for his independence and integrity, he spent three decades in law enforcement. Before the past months' controversies, the former deputy attorney general in the George W. Bush administration was perhaps best known for a remarkable 2004 standoff with top officials over a federal domestic surveillance program. In March of that year, Comey rushed to the hospital bed of Attorney General John Ashcroft to physically stop White House officials in their bid to get his ailing boss to reauthorize a secret no-warrant wiretapping program. But his prominent role in the 2016 presidential campaign raised questions about his judgment and impartiality. Though the FBI did not recommend charges against Clinton for mishandling classified information, Comey was blisteringly critical of her decision to use a personal email account and private internet server during her four years as secretary of state.